New Delhi, Feb 22 : Che Guevara may be the most popular T-shirt graffiti, but in Manipur's iconic Paona Bazaar, his face is imprinted on virtually everything - belts, trousers, guitars and even seen on masala sachets and at HIV drop-in centres. In "Che in Paona Bazaar", television journalist Kishalay Bhattacharjee takes us on a journey of Imphal's most popular street, named by Paonam Nawol Singh who played an important role in the Anglo-Manipuri war of 1891 after which the British crown took over the sovereignty of Manipur and ruled till 1947. The book, published by Pan Macmillan India, is limited only to certain areas in the northeast - Manipur, Guwahati and Shillong. Manipur's music, dance, food and the stories of its people dominate the book. The events and descriptions are true, the characters are a combination of the people the author has met and interacted with. He interviewed a cross-section of people and in each of them found a "courageous willingness to reopen wounds which they had hidden, sometimes even from themselves". 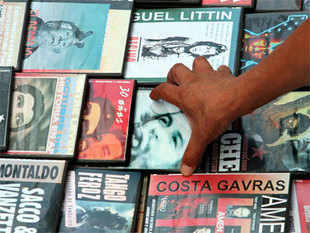 Che Guevara is the most popular face in Paona bazaar, the author says. The market has almost everything in store for anyone - umbrellas for as low as Rs 50, Levi's canvases for Rs 100, high-quality pirated Hollywood films and music videos for as cheap as Rs 35 and colourful blankets. "Ironically the red armies of Manipur haven't quite adopted him, so thanks to a global fashion statement, Che became young Manipur's icon years before his global demand.